The University ecosystem has always helped us when we have needed it the most. Whether we needed guidance or money, the University of Illinois has always stayed with us. 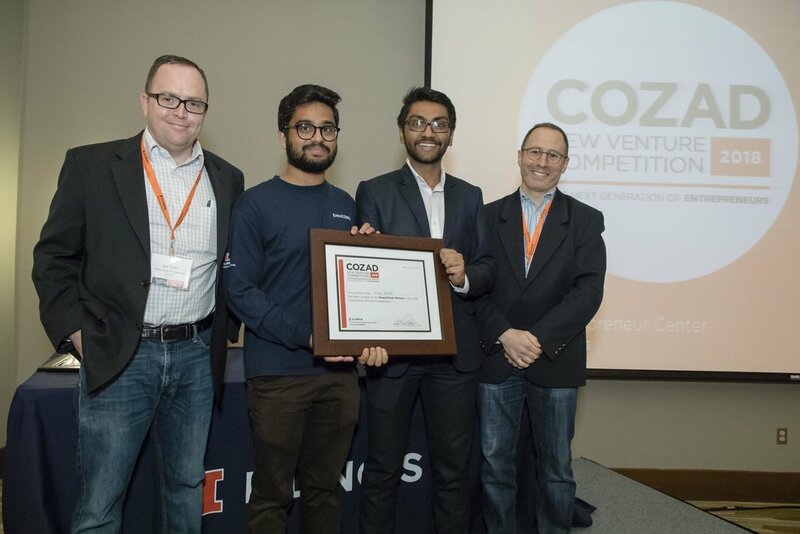 We are honored to win the campus wide startup competition and cannot wait to see what the future holds. We are super excited that News-Gazette sat down with our Co-founder/COO Ayush Kumar to discuss what Vitrix Health is doing on campus. The Champaign-Urbana area has helped Vitrix grow to what it is today and we are proud to have interviewed with the newspaper. The students at the University of Illinois have always been helpful in guiding Vitrix Health in the right direction. We are excited that Daily Illini featured Vitrix Health on their front page.